Charter Oak Health Plan is a health insurance company that provides health insurance products to people who live in the State of Connecticut. In order to qualify for their plans you must be an uninsured adult ages 19 to 64. No one younger or older and purchase Charter Oak’s insurance. If you are searching for health insurance, all you need to do is enter your zip code in the box provided for free, comparative quotes from health insurance providers in your area. The Charter Oak Health Plan website is very easy to follow and the benefit package that they offer is straightforward and easy to read. What’s more, they have a premium plan already set up on their website so that you can see just how much you will pay each month for your insurance. The plans they offer are based on income. Simply put, you have to make under a certain amount of money to qualify for their insurance packages. Everyone pays the same premiums, but the more money you make the more up front out of pocket expenses you will have to pay. For example, if you are a family of four that makes under $3000 a month, then your annual deductable will be $300 and your co-insurance maximum will be $300. However, if you are a family of four that makes over $5500 a month, then your annual deductable will be $1750 and your co-insurance will also be $1750. Where things get a little hazy is that the company charges $307 a month per person in premiums and it is the same for everyone. For a family of six, the total cost a month will be $1842, which is quite a bit higher than you will find if you purchase a more traditional plan as the national average is about $900 a month for a family. Simply put, you will contact Charter Oaks, who will work to ensure that you qualify for their plan. If you do, then you can choose the insurance company that you believe will best suit your needs and your agent will then submit your policy to that company. If you want, you can skip speaking to an agent at all and download an application on their website. Once completed, you will mail, not fax or email, the application to Charter Oak for consideration. 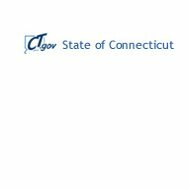 Because Charter Oaks is a contractor for the Connecticut Social Services Department, they have to adhere to the rules and regulations stipulated by the state. Their services are available to anyone in the State of Connecticut, however, they are not licensed to sell insurance products in any other state. Although there are no career options for Charter Oak Health Plan, they do have career options for their subsidiary, which is Charter Oak Health Plan Behavioral Health. You can apply for a position with the company directly on their website. Because Charter Oak acts as a broker, they do not provide claims support on their website. You can call and speak to the agent that helped you get your insurance if you have any questions, but you should really visit the website of the health insurance company that you have chosen to learn how to file a claim. In addition, to find doctors that accept your insurance, you will have to visit your health insurance company’s website rather than the Charter Oak website to find that information. Because of the way that they sell insurance, Charter Oaks does not need a quote tool to provide you with your rate quote. Everyone pays the same amount for their insurance, regardless of their health, age, and gender. As mentioned above, if you have a large family, their plan ceases to become one that will save you money. The good news is that there are more affordable options available to you; you just have to search for them. We make the search much easier by providing you with a quote tool. All you have to do is enter your zip code below, answer a few simple questions, and you will be comparing health insurance quote in just a few moments! DONT BUY THIS PLAN! !Premiums are now a ridiculous $579 month while persons who joined before 2110 are still paying $215 month. Lousy member services and hardly NO providers! BEWARE..A shady and deceitful company Comunity Health Network runs it for the state and pay themselves large salaries while soaking the members for premiums! Stay away from this rip-off health plan!! Premiums have increased to $589 from $307 in just three years! Providers are practically nonexistent and every claim submitted is denied.Comunity Health Network runs it for the State now and that is where all the profits go. It’s a bad HMO that’s NOT regulated by the Ct. Insurance Dept. There is no regulatory agency to answer to so they do as they please and you have no one to file a complaint too. Charter Oak is a SHAM!